This is a car we had very high hopes for. Retailing for AUD$31,490, the newly released Holden Astra CDTi automatic undercuts all comparable diesel vehicles as well as the petrol-electric hybrid models from Toyota and Honda. It looks like the perfect machine to bring ultra-low fuel consumption motoring to the masses. So why is the Astra turbo diesel automatic a bit of a guzzler? Well, we reckon a lot can be blamed on the tall gearing and shift patterns of the Active Select six-speed automatic trans. In urban 50 – 60 km/h conditions with the selector in Drive, the trans never shifts beyond fourth gear and the tacho needle hovers at nearly 1800 rpm – pretty high considering peak torque and power are achieved at 2000 and 3500 rpm respectively. You need to up the ante to around 80 km/h to find fifth gear, and top gear requires over 100 km/h. We were frustrated that on typical rural roads (with bends, rises and some slower moving traffic) we were unable to keep the transmission in top gear – and therefore the engine operating at minimum revs – for any more than a few seconds at a time. As a result, fuel economy must suffer. 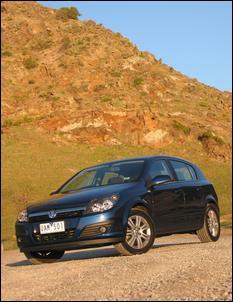 Finally, we reckon Holden has made a blunder in relation to the fuel filler. We pulled into three consecutive petrol stations only to find diesel pumps with a ‘big bore’ nozzle that won’t fit into the Astra’s filler. It’s very frustrating driving around the countryside trying to find a petrol station with a small bore diesel pump. But, for all its shortcomings, the Astra CDTi automatic can’t be written off. Unexpectedly, much of the AUD$4500 premium over the similarly spec’d CDX petrol version can be justified by the effortless performance on tap. Unlike the base 1.8-litre petrol engine, the 1.9-litre turbo diesel whisks you down the road with remarkable ease – you barely ever need to apply more than a few millimetres of throttle. The accessibility of performance is also excellent. Prod the accelerator to plug a hole in traffic and there’s an immediate rush of torque to get the job done. Torque is the key word with 280Nm spread from 2000 to 2750 rpm. With such huge grunt accessible at the bottom of the rev range, peak power is rarely needed - but it is officially listed at 88kW at just 3500 rpm. These outputs are achieved with the aid of a variable geometry Garrett turbocharger, air-to-air intercooler and a common rail direct injection system. 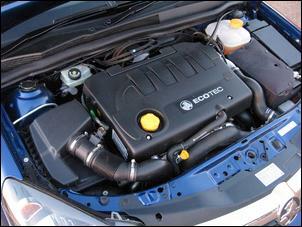 At this point, it’s important to point out that the auto version of the CDTi uses a detuned SOHC, two-valves-per-cylinder engine while the manual version employs a DOHC, four-valves-per-cylinder donk that belts out substantially more power and torque while also achieving superior fuel consumption. 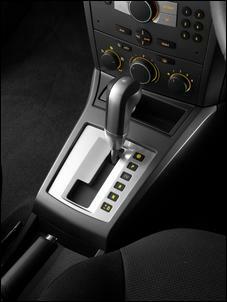 Another unexpected feature of the CDTi is the standard fitment of stability and traction control. Unleash all those Newton-metres from a standing start and the car leaps away with the tyres on the verge of slipping. The Astra is a predictable handler with a bias towards understeer and the addition of stability control is a welcome safety feature – but its calibration isn’t aimed at improving handling. The CDTi’s brakes are also upgraded with 308mm ventilated front discs. Emergency braking is very strong and the ABS/EBD system performs well. Ride quality is comfortable overall but there are circumstances that cause significant impact harshness. This disappears at high speed where the relatively soft spring and damper rates become more noticeable. 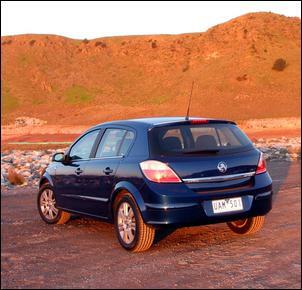 The Astra is a very comfortable car with the quality feel of a car costing considerably more. Front and rear space is generous and you get a decent cargo area volume with a 60/40 split folding backrest. 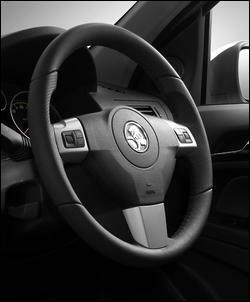 Equipment levels are boosted above the base Astra with a total of six airbags, cruise control, a graphic information display (showing audio menus, temperature, time, date and trip computer information) and a leather wheel connected to a well-weighted electro-hydraulic steering system. So what to make of this potentially groundbreaking vehicle? Well, it’s far from a bad car – we imagine everyone who buys one will love it - but it’s nothing to get excited about. If you want maximum kilometres for your dollar in a small/medium size package, there are quite a few other cars that steal the limelight.